Only second to Santa in holiday appearances, National Italian American Sports Hall of Fame spokesman Mike Piazza began early before Thanksgiving when he emceed NIASHF’s 37th Annual Awards Celebration and inducted John Andretti, Babe Parilli, Scott Pioli, Angelo Pizzo and Frank Zamboni at the InterContinental Hotel in Chicago. Mike Piazza’s popularity in Italia comes a close second to St. Nick but nobody can touch La Befana. International baseball ambassador and Italian National team hitting coach Mike Piazza got a jump start on Babbo Natale, otherwise known as Father Christmas, when he traveled to Veneto, Italy last January to speak to an enthusiastic audience at the 29th Annual Coaches Convention. Piazza said, “We all overteach and overanalyze hitting. Everyone has their own opinion, but in actuality–just as Ted Williams explained in his book–The Science of Hitting–the number one rule is to get a good ball to hit. Gaining an understanding of the strike zone and what you can and can’t hit is the key. Simply spoken, you can’t hit what you can’t see.” Borrowing a page straight out of Ted Williams’ book, Rudolph the red nose reindeer leads Cometa, Ballerina, Fulmine, Donnola, Freccia, Saltarello, Donato, and Cupido so that Babbo Natale is able to see which homes to hit and deliver presents to millions of Italian children every year. 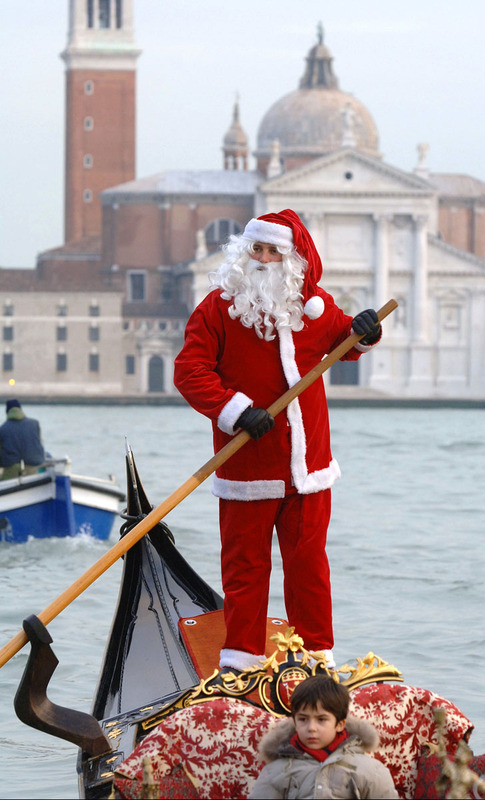 However, La Befana, the elderly woman who delivers gifts on Epiphany Eve (January 5th), is a cultural folklore tradition favorite and reigns as the undisputed Italian holiday champion. La Befana is one of Italy’s oldest and most celebrated legends. 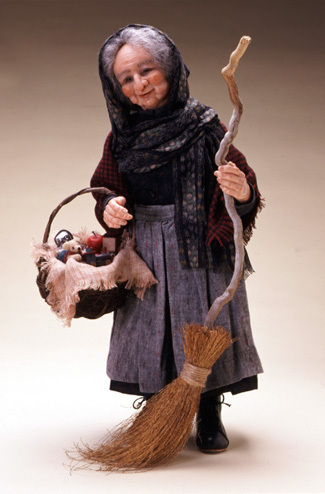 La Befana is a nice old woman who some believe takes flight on her broom stick every year in the middle of the night in preparation of the arrival of Epiphany day on January 6th. She showers children with gifts to reward them for their good behavior. La Befana’s big sack on her back and basket is usually full of sweets and chocolates, which will make their way into the stockings of kids who have behaved on the day of the Epiphany. However, those children who didn’t do what they were asked by their parents and were naughty throughout the year will end up with a stocking full of lumps of coal. Yet, everyone loves La Befana. She is sometimes portrayed as having white or black hair with a long crooked nose, broken shoes and a patched dress. Unlike in America where children generally leave milk and cookies for Santa Claus, it is customary to have a nice glass of red wine waiting for La Befana upon her arrival to your house considering the long overnight journey she had to endure getting there. Attendees of Italian Heritage Night at Citi Field received a Mike Piazza soccer jersey to the delight the Azzurri. Mike Piazza deserves more than just chianti for the seemingly endless journey he has had to experience to become enshrined in the National Baseball Hall of Fame. The Mets Hall of Famer is a fan favorite, and anytime he is affiliated with a night at the ballpark it is an instant hit. 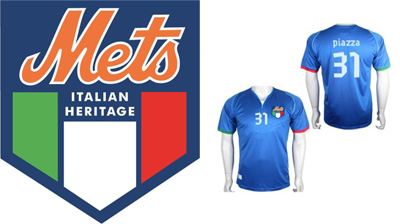 The Mike Piazza soccer jersey giveaway at the 2014 Italian Heritage Night at Citi Field was considered to be best Mets promotion of the season. 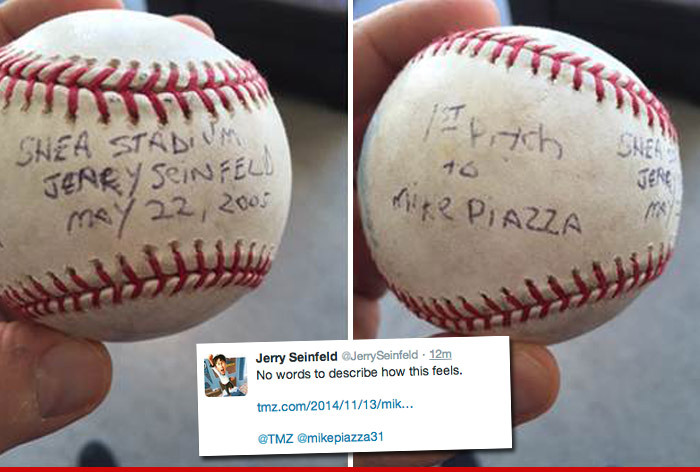 Commercial endorsements from Philips Norelco as well as special guest interview appearances on Complex News and TMZ Sports are just the tip of the iceberg of mass media that has spotlighted Mike Piazza recently. 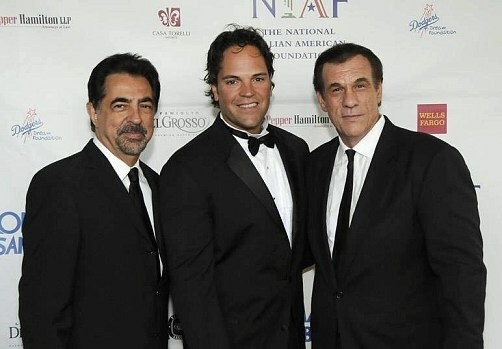 Expect nothing less than an avalanche of additional coverage in 2015 to follow with Piazza’s support of the National Italian American Foundation and the NIAF 40th Anniversary Gala.